A new year is around the corner and it is time to start planning your social media marketing for 2013. 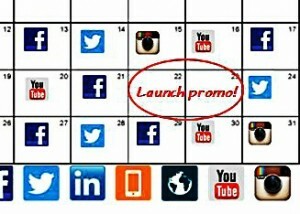 Creating a promotion calendar can be helpful when deciding when to run social promotions. Promotions can help raise awareness for your brand and products and running social promotions strategically at certain points of the year can increase your marketing effectiveness. A good place to start is to become familiar with the upcoming trends of the new year as well as what marketing trends consumers are responding to. 1. Running a contest or sweepstakes around a product launch can be effective and will create buzz around the product. A good social promotion will encourage your fans to interact with your brand and share your brand or products with their friends. Promotions can generate great word of mouth and therefor will create word of mouth for your new products. 2. An effective way to incorporate a social media promotion into your marketing efforts next year is to run an event driven promotion. Creating a promotion around an event is a great way to advertise your event while simultaneously creating a way for your customers to interact with your brand. Schedule posts about your event and your promotion to maximize awareness. 3. Another great time to schedule a promotion is around the holidays. Many people are looking for fun deals during the holiday season and a contest or sweepstakes is a great way to celebrate the fun time of year. Most people will already take part in fun holiday activities so it is a perfect opportunity to add your promotion to the list. 4. Consider which social media channels work best for your goals. Each platform caters to different consumer types and behaviors so it is often smart to run cross-channel promotions. In order to make sure your social promotions are running at effective times it is important to organize them in a calendar. This is a great way for your company to see what is coming and better prepare for each promotion. Set up reminders to post on social media, you can schedule posts at certain times alongside your promotions. Decide what your social media marketing calendar will focus on; it can be planned around the seasons or big product launches for example. What are your company’s goals for 2013 and what strategies will help you get there? Plan now and build your social marketing calendar to center around promotions that run at key times for your company, your event calendar and holidays.